A few months ago, I wrote about my plan to review several pairs of speakers that retailed at or below $2500 USD per pair, and as of February 1, 2018, I’d finished my roundup. Over the last six months, I’ve spent time with Bowers & Wilkins’s 704 S2 ($2500), Elac’s Uni-Fi Slim FS U5 ($1499.99), KEF’s Q750 ($1499.98), and Monitor Audio’s Silver 300 ($2000) (all prices per pair). My goal was to get a solid feel for what buyers can expect in this price range, in terms of sound quality, appearance, and fit’n’finish. If you want to go deeper into what informs my thoughts as expressed below, I suggest checking out each of those reviews. I have yet to see or hear the perfect loudspeaker, and these four speakers haven’t changed that. Speaker design has always been about balancing compromises, and the lower a speaker’s retail price, the greater the compromises its designer has made. Do you want maximum bass extension -- or maximum bass control? How much are you willing to pay for speakers that sound and look good? Do you value neutrality, or a more “exciting” listening experience? Maybe you prefer a more intimate sound, with a warmer midrange, and a polite top end to draw you in to your favorite singer-songwriter. Knowing the kind of sound you prefer is important -- no matter how strongly positive a review some clown like me might type up, it won’t necessarily mean that you’ll like what I like. For instance, while I generally prefer ruler-flat neutrality, deep down, I really like a subtle emphasis of the upper midband and an extended treble response. A polite treble is just not my cup of coffee (I prefer dark roast), or pint of beer (your finest brown ale, please). I’ll start with Elac’s Uni-Fi Slim FS U5 ($1499.99/pair). As I said in my review, it’s effectively a $1000/pair loudspeaker with a nice paint job. I love this model’s eponymously slim proportions: a narrow front baffle, and a deeper cabinet, to mirror the original version’s internal volume. 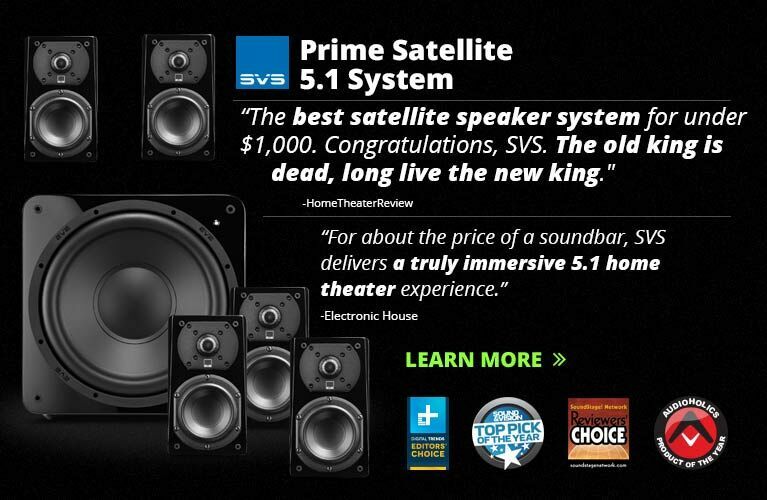 The $500 premium for the slimmer cabinet and satin finish is worth it, in my opinion, especially for a speaker that will sit in a high-traffic room. Beyond that, what will probably appeal to more listeners than will that of any of the other models here is the Elac’s sound. Its midband offers an appealing dose of warmth and fullness, even with digital recordings, while also possessing a subtle upper-midrange emphasis that makes well-recorded voices really pop from the mix. This is accentuated by a polite top end that further spotlights the Elac’s smooth, rich midband, albeit at the expense of soundstage depth and width. No, it doesn’t have the deepest bass, but neither does it draw attention to itself. Then there’s the stereo imaging -- it’s very, very good. As an overall package, the Elac Uni-Fi Slim FS U5 is the speaker at this price I’d recommend to most buyers, because it’s a safe choice. Not everyone will love it, but I can’t see anyone disliking it -- and that’s a nice quality to have. KEF’s Q750 ($1499.98/pair) offers an interesting point of contrast to the Elac: It’s bigger, boxier, and generally less attractive. I remember being really impressed with the press photos of KEF’s new Q-series speakers, even suggesting that they looked like baby Magicos. But when I received my review samples of the Q750, I was disappointed. Yes, the front baffle is sharp, and the Satin Black finish looks stealthy from a distance, but up close, the Q750 looks and feels the cheapest of this bunch, and its fairly hollow cabinet isn’t all that inspiring. But -- and I can’t emphasize this enough -- KEF’s Q750 more than makes up for these shortcomings with its spectacular sound. It’s one of the most neutral speakers I’ve heard at any price, with incredibly balanced sound. I could hear deeper into recordings than with the Elac -- due in part to the KEF’s more extended treble response, which made it sound more expansive -- and I could hear more: more inner detail, more convincing holography, better separation of aural images. The Q750 could also play louder and cleaner than the Uni-Fi Slim FS U5. If you want to hear what your recordings were intended to sound like, the KEF Q750 is the one to get. In fact, it’s what I’d buy if I could spend no more than $1500 on a pair of speakers. It’s not terribly “exciting” to listen to -- it calls no particular attention to any part of the audioband -- and it won’t win awards for its looks. But as a pure transducer of musical sound, it’s phenomenal. I didn’t know a speaker this affordable could sound this good. If the Elac falls on the warm side of neutral, Monitor Audio’s Silver 300 ($2000/pair) leans the other way. It champions immediacy and dynamics, and its three-way design also boasts the best bass of the four speakers in this roundup. I found myself cueing up rock to hear the satisfying attacks and decays of guitar strings, electronic music for the Silver 300’s eminently powerful yet never overwhelming bass extension, and large-scale orchestral works to exercise the speaker’s dynamic headroom. 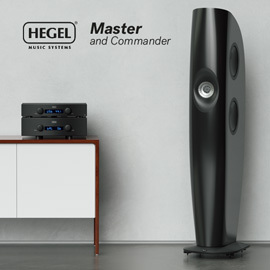 The Silver 300 rocks out -- it was no surprise to me that the average volume readout on my Hegel Music Systems H360 DAC-integrated amp was higher with the Monitors in action than with any of the other speakers discussed here, despite its being the most sensitive of the bunch. They’re great fun to listen to, and it doesn’t hurt that they’re beautiful. I loved the real-wood veneer, and the teardrop flourish on the aluminum baffle that secures the tweeter and midrange drivers. But while I felt that the Silver 300 was almost as revealing as the KEF Q750, the Monitor couldn’t match the KEF’s imaging. Voices weren’t as clearly defined, and the soundstage didn’t sound as tidy and organized. Do I care? Not really. The Silver 300 is the best-looking speaker here, with the deepest and tautest bass, and the highest get-up-and-move quotient. Monitor’s Silver 300 is anything but dull. Finally, Bowers & Wilkins. B&W is probably the best-known hi-fi brand out there, and their 704 S2 ($2500/pair) easily demonstrates why. My review samples were finished in a demure Gloss Black, with which B&W’s signature silver Continuum drivers contrasted nicely. The superthin, polished accent rings around the drivers give this smallish floorstander a classy appearance that make it look like what it is: the most expensive of these four speakers. But it’s the 704 S2’s sound that should distinguish this speaker from those less expensive rivals, and it does -- though not in the way you might imagine. While it took me minutes or even hours to home in on the sound of each of the other speakers discussed here, only seconds elapsed before I realized that the 704 S2 produced a sound very different from what I’m used to. The star of the show is that Continuum midrange driver, derived from the ones used in B&W’s flagship 800 models -- it monopolizes the listener’s attention, at the expense of everything else. Our measurements of the 704 S2 illustrate what I mean. In the Listening Window graph, which averages five frequency measurements, you can see a 7dB rise from around 2.5 to 3.5kHz, and another peak at around 9kHz. These measurements weren’t taken until after I’d written my review, but it’s nearly impossible to miss this behavior in everyday listening. Voices, particularly of women, sounded strident and thin, even glassy, through the 704 S2. The speaker provided immense amounts of low-level detail, but this severely contoured midrange made airier voices sound sharp, and brass instruments brash and splashy. This spotlighting meant that aspects of the sound -- and the music -- were recessed or even obscured. To be fair, certain recordings sounded sensational, the B&Ws’ prominent mid-treble producing huge soundstages, and certain artists whose voices weren’t as colored by the Continuum driver were resolved with shocking detail and delicacy -- but those were the exceptions. It’s difficult to be ambivalent about a loudspeaker like this. That midrange is the speaker’s heart and soul, and I imagine that most listeners will either adore it or detest it. But if you’re anything like me, your feelings about B&W’s 704 S2 may pivot from one extreme to the other, depending on the recording played. I intend to spend the rest of the year reviewing gear that costs even less -- ideally, less than $1000. I find it a far more interesting market segment than what I’m used to, to say nothing of being relevant to a far greater number of listeners. Stay tuned; I see some cool products on the horizon.